Peyrano dedicates this Milk Chocolate Bar to those who like their chocolate tempered with a note of sweetness. 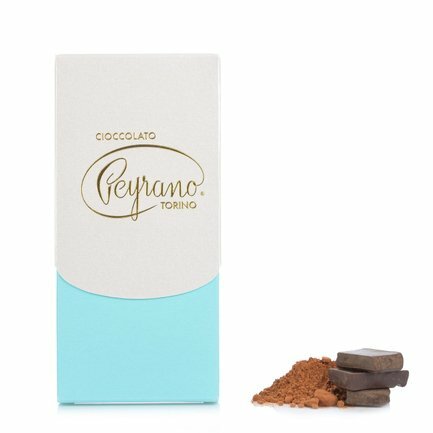 The immediate sensation on the palate is that of the delicious natural sweetness of the chocolate, accompanied by a persistent smoothness. These sensations are enhanced by the meltability and satisfyingly rounded notes. Ideal to enjoy on its own to fully appreciate the organoleptic properties or to savour with sweet whites and rosés. Ingredients sugar, whole milk powder, cocoa, cocoa butter, emulsifier: (soya) lecithin, Bourbon vanilla pods. Cocoa: 32% min, milk 21.8% min. May contain traces of nuts. For more information on product labels, please contact our Customer Service department. The information on the labels of the products may vary for reasons beyond our control, therefore, there may be discrepancies between the information on the site and that on the products delivered. Please always check the information on the product before consumption or use.